We first wanted to say how grateful we are to everyone that we have been able to take fishing over the last several years all around Alaska and on the Kenai River. We truly have had a better time than maybe even our customers because our passion is getting people outdoors and on the fish and game! We wanted to announce that as of today, 4/19/2016, we will no longer be doing guided fishing in Alaska. We will still continue to do our bear and moose guiding but no more fishing. This decision was made based on various reasons and we hope you are not mad but will maybe join us on a bear hunt in the near future! 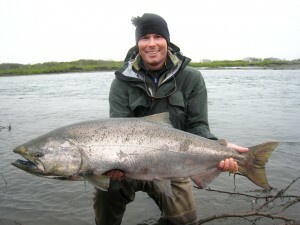 We will be forwarding all future fishing inquiries and past customers to a local Kenai fishing expert, Jason Lesmeister. 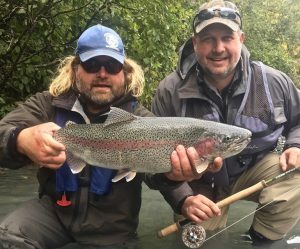 He runs his professionally guided fishing company, Jason’s Guide Service, all over the Kenai Peninsula and fly fishes and ice fishes for rainbow trout, dolly varden, and all types of salmon. fishing trip and our experience was amazing. He is very excited about the opportunity as well, so give him a call whenever you get a chance or visit his website and check out his photo gallery. Rainbow Trout Season is upon us right now and Salmon Fishing Season is coming up soon, so you will want to get your reservations ASAP so you aren’t waiting till next year to fish with Jason! Thanks again to everybody and we hope you understand! 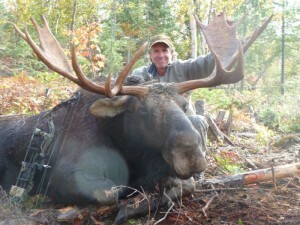 Track and Trap offers fully guided Alaskan hunting trips for moose, bear, and waterfowl. 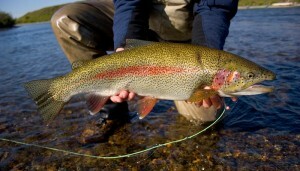 Fully guided fishing trips are also offered for rainbow trout, silver and sockeye salmon, and Dolly Varden. Even an experienced hunter needs someone to put them on the game, to make the most of their limited time in the woods. You can greatly increase your chances of having a successful hunting trip by hiring an experienced guide. We are a fully licensed guide service with a lifetime of experience in the Alaska woods. your itinerary by discussing with you the various outfitters, eateries and sleeping accommodations available to you in the area. 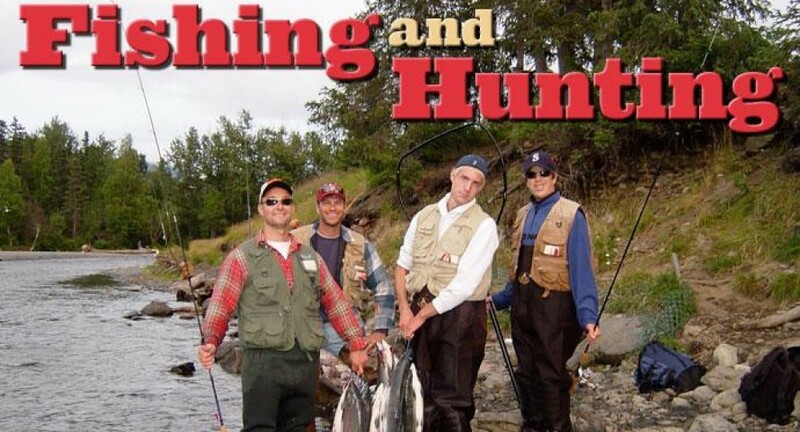 We think you will find your hunting trip to Alaska will be a pleasant step back in time. Our guide service offers more than just a successful hunting trip but the whole Alaska experience that only a real local guide can offer. We hope you will choose us as your guides. Anyone have any info or tips for coho/king fishing in Ketchikan? Anything at all would help, thanks. . . .